GEOSET » Nuclear Power Plant Safety – What’s the Problem? View Nuclear Power Plant Safety – What’s the Problem? A significant proportion of our electricity is generated by thermonuclear reactions. The dangers attached to these processes and the radioactive products are well known and publicised. Much less well known are the measures taken to ensure that the highest levels of safety are realised in practice. The principles are simple. 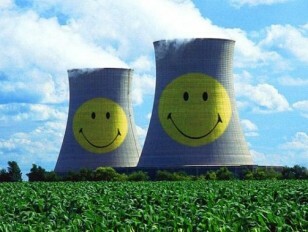 The reactor must be controlled and kept cooled, and the products of the nuclear reactions contained. The basic means of doing this are also simple. Special materials absorb neutrons to control the reactions, supplies of gas or water take the heat away from the fuel, and the radioactive material is retained inside the fuel cladding and the main pressure circuit. The reason why complexity arises in such simple processes is because all must be done with high reliability and while the plant operates at the highest power tolerable to supply low cost electricity. So fail-to-safety is a major design principle. Multiple systems ensure reactor control and cooling, and inherent stability is built into reactor design overall. Computer based models which simulate reactor behaviour will illustrate how safety is realised in practice. This approach will be developed from bench top demonstrations of some of the main principles. Overall the intent is to emphasise the essential simplicity of the matter. Of course, it would have been rather better to bring a reactor into the Royal Institution to show the real thing, but it seems this is not possible!